Several months ago, I traveled to St. John’s, Newfoundland, to speak at a weekend youth retreat. As is typically the case with youth retreats, the final evening was slated to be a social time, and the leaders had planned a coffee house in a room at their church building. Before the coffee house time, however, the schedule read “spiritual practices.” I asked one of the leaders what this hour-long component of the program would consist of, and she told me that they had transformed their church hall into a space filled with stations where the youth could independently engage in spiritual practices. I was running a bit late that evening, so when I arrived at the hall, the group was already ten minutes into the spiritual practices session. I peeked inside and noticed that the hall was lit with candles and lamps, and all over the room the teens were quietly moving from station to station. Some were experimenting with prayer postures. Others were listening to music through earbuds. There were teens lighting candles and teens writing prayers. I was amazed at how these young people—who were gabbing and giggling with each all weekend—were suddenly immersed in deep spiritual practices. They weren’t talking with each other. They weren’t even looking around the room at what their peers were doing. Each one of them was focused on the practices they chose to engage in. It was indeed a holy moment, one that was so special to these teens that they decided to forgo the coffee house in order to spend more time in this spiritually-infused space. The past two decades has seen a surge in research into the spiritual lives of children. From groundbreaking books like Robert Coles’ The Spiritual Life of Children and David Hay and Rebecca Nye’s The Spirit of the Child to recent publications such as The Spiritual Child, by Lisa Miller, and countless new articles in professional research journals, a consensus has emerged that children are innately wired with spiritual capacities. As people of faith, our understandings surrounding children’s spirituality are often couched in theological language. Children are gifts from God, fully human and made in God’s image. They are created in communion with God, already in relationship with the One who made them, even if they are unable to speak about this profound connection. This sense of connection is the essence of spirituality. It is for this reason that Hay and Nye name children’s spirituality as “relational consciousness,” an awareness—even if unarticulated—of their relationships to others, oneself, the world, and God. Hay goes on to say, however, that the inherency of that spiritual spark in children is not a guarantee that it will continue to shine as young people grow into adulthood. He argues that aspects of western society may actually work to extinguish the flame of spirituality, saying “the adult world into which our children are inducted is more often than not destructive to their spirituality.” The openness and connection of spirituality may be gradually undermined by society’s focus on individualism, intellectualism, and privatization. Many of us might argue that this is where the church should play a role. Through their ministries with children, congregations can combat the extinguishing of the spiritual flame. I wholeheartedly agree with this statement, but I struggle to see how this is possible through the common ways in which congregations engage in children’s ministry. I recently spent a year visiting congregations to study how children generate theology in light of the cultural particularities of their faith communities. In one church that I visited, I interviewed a number of the children who seemed to be the Sunday school superstars. These were the children who attended regularly, were eager to help out, and were always the ones with the right answers to their teachers’ questions. During my conversations with these children, I was impressed by their ability to articulate theological ideas and recount biblical stories they had learned in Sunday school. Yet when I asked them to tell me about a personal experience they had with God, these children—who, I may remind you, were always the ones ready with the answers to questions—were speechless. They struggled to think of a moment in their lives that they would name as an encounter with God. Common practices for children’s ministry–like Sunday school, object lessons, and activity sheets–do much to help children learn about God and Scripture. But they are not prone to help children experience God and God’s story. Sadly, Sunday school has become one of these “adult worlds” that focuses on intellectualism and individual knowledge at the expense of real relationships—with others, oneself, the world, and God. We who minister with children need to embrace the renaissance of spiritual practices taking root across the church and integrate it into the very core of what we do with children. Spiritual practices, such as those I witnessed at that congregation in Newfoundland, are vital means of fanning the divine flame within each child, that innate sense of connectivity and relationship. For too long we’ve been focused on helping children learn about God, forgetting that what they really need are genuine experiences of God, those moments when the world around us suddenly feels thinner and God’s spirit touches our spirits. By engaging in spiritual practices with children, we can help them have such experiences. And we can encourage them to experiment with and create practices for themselves. As we do so, we can be ever mindful that there is no guarantee that putting out candles, leading meditations, going on a walk in nature, or any other spiritual practice will give children Spirit-to-spirit connections with God. But it can happen. And it does happen. I saw it happen in that church hall in St. John’s. I saw young people connecting with God in ways that go beyond anything that they may have been taught in classes and lessons. I saw young people being lost in the moment, giving into their spiritual capacities as they had first-hand encounters with a God beyond words. 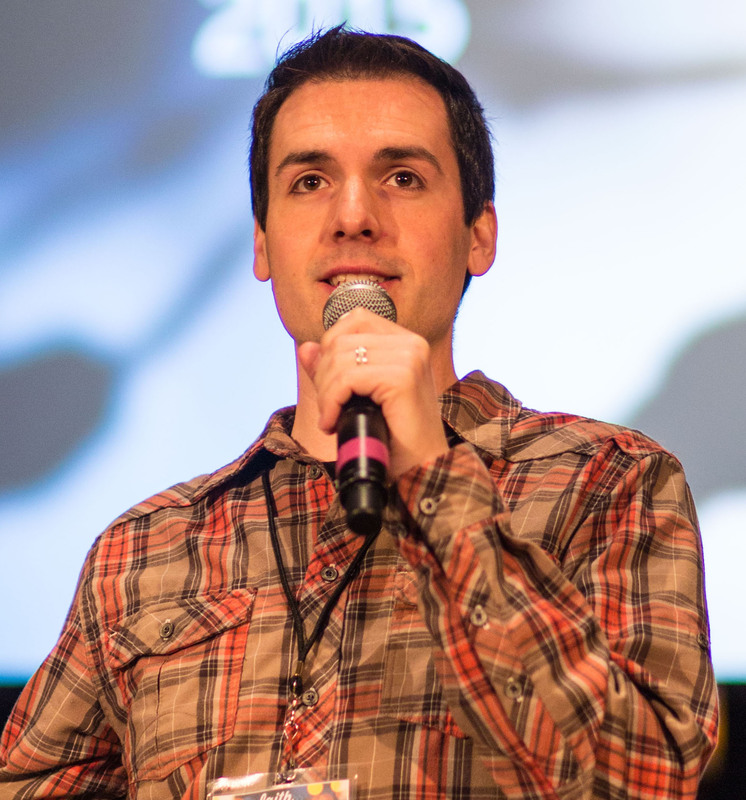 David M. Csinos (davecsinos.com) is an author, speaker, and founder of Faith Forward (faith-forward.net), an ecumenical network for innovation in ministry with children and youth. His books include Children’s Ministry in the Way of Jesus (with Ivy Beckwith), Children’s Ministry that Fits, and two Faith Forward volumes (both edited with Melvin Bray). He is completing his Ph.D. at Emmanuel College (Toronto) and lives in Halifax, Nova Scotia.